Chyawanprash use enhances the body’s resistance to infections. It helps prevent colds. It normalizes the metabolism in the background of stress, depression, and chronic fatigue syndrome. It significantly improves mood and increases vitality. Chyawanprash adapts the body to physical stress and climate change. It increases hemoglobin and improves the rheological properties of blood. It lowers cholesterol level and blood lipids level, normalizes blood pressure, reduces risk of heart attacks and strokes. 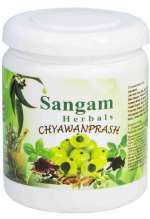 Chyawanprash improves the functioning of the gastrointestinal tract, the enzymatic function of the liver and pancreas. Also, it strengthens the reparative processes in tissues. Highly recommended in treatment of multiple sclerosis; in remission and moderate progression of the disease as non-specific immunomodulating therapy. Chyawanprash use helps increase learning ability, improves memory and concentration (perfectly good to children of age at least 4 years and older). It slows down the rate of natural biological aging. 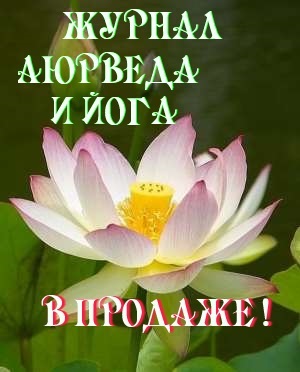 Also, it enhances sexual function and is recommended for impotence and frigidiy. The presence of silver layer on the surface of the mass means it must be mixed up with the contents of the jar. Silver is a natural preservative. Traditionally, Chyawanprash is taken 15-20 minutes before the meal and drunk with water, or green tea, or milk. It should be taken slowly, with small portions, dissolving it in the mouth for 5-10 seconds, and you are done. The recommended dosage of Chyawanprash for adults (grown-ups) is from 1/2 up to 2 teaspoons twice a day (morning and evening) in such conditions as deficit of vitamins and minerals, stress or fatigue state as well as it may be used to increase the overall resistance of the organism, especially during the recovery period. The recommended dosage of Chyawanprash for children of age starting from 4 years is 1/4 up to 1 teaspoon twice a day with milk or any other liquid (you can mix Chyawanprash with liquid). Elderly people are advised to take 1/3 teaspoon of Chyawanprash 2-3 times a day. People suffering from pathology of the cardiovascular and nervous systems should be advised to start the intake with the morning portion of 1/3 teaspoon, repeat for 10 days, then add a daily intake of 1/3 teaspoon for 10 days and only after this period move on to three intakes per day. People suffering from chronic diseases and serious infections should be advised to take 1 tablespoon of Chyawanprash 3 times a day. People suffering from chronic gastric ulcer, chronic gastritis with high acidity (in the stage of remission), diseases of the central nervous system as well as cardiovascular and respiratory systems should be advised to take the elixir 30-40 minutes after the meal. 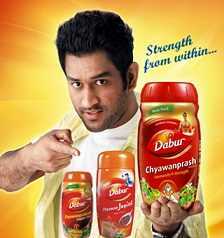 The recommended course of taking Chyawanprash is 3 months (3-4 cans) if you are taking Chyawanprash for the first time. The elderly people should be advised to repeat at least two courses per year. Warning and contraindications: acute illness or exacerbation of chronic kidney disease and gastrointestinal tract, digestive disorders, individual intolerance to the components. During the period of pregnancy the intake of Chyawanprash should be used carefully, i.e. with conventional care for this state. Chyawanprash use terms: Chyawanprash should be stored (kept) in a dry and cool place.